It was ‘sunny side up’ for in excess of 60,000 visitors at the second Woking Food and Drink Festival from Friday 5 to Sunday 7 September 2014. Taking centre stage, the Tante Marie Culinary Academy Theatre highlights included: Jack Stein, Executive Chef at Stein Restaurants and son of culinary and TV legend Rick Stein, Frances Quinn, Great British Bake Off 2013 winner, who rose to the challenge when she took to the stage for two delicious baking demonstrations, Sabrina Ghayour, author of the best-selling ‘Persiana’ cookbook, Neil Rankin, locally trained and Great British Menu 2014 contestant and rising star, and Mark Lloyd, former Head Chef at Hugh Fearnley-Whittingstall’s River Cottage. Fernando Stovell – Featured chef on Saturday Kitchen and owner of Stovell’s restaurant in Chobham. Thierry de Magneval – Former Sommelier and restaurateur at the Berkeley Hotel, Roux Brassiere, Roux at Parliament Square, Le Gavroche and Chief Sommelier and owner of Cellar Magneval in Woking. 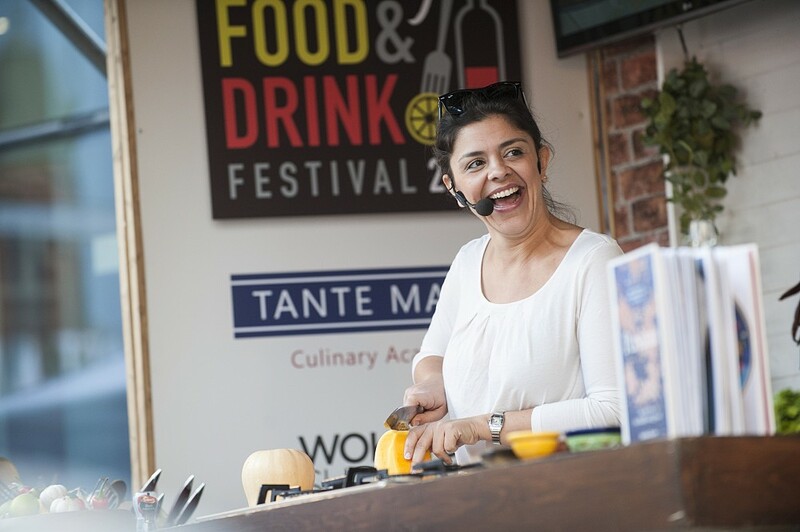 Tante Marie Culinary Academy instructors – The oldest independent cookery school in the UK which has been based in the Borough for the last 60 years. 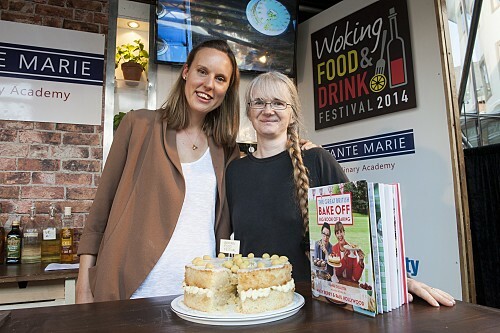 On Sunday 7 September, baking fans also had a slice of the action when they took part in the Festival’s baking competition judged by Great British Bake Off winner, Frances Quinn. The winner, Rachel Wynn, won a £100 Woking Shopping voucher along with a signed copy of the current Great British Bake Off cookbook – ‘The Big Book of Baking’.